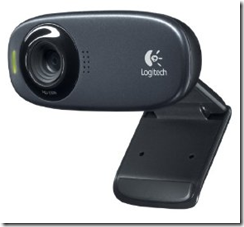 Amazon has the Logitech 720p Webcam C310 for $29.99 shipped. It has a 4.5 star user rating. It also has the advanced features such as Face tracking, built-in mic with noise cancellation, auto light correction, etc. If you want a few more features, check out the higher end cousins – C510 ($39.99), Pro 9000 ($59.99) or the Pro C910 ($78).